Beginning in 1960, the League Cup gives lower league teams a chance to take on some of the most decorated clubs in English football, occasionally upsetting football odds. Ahead of this week's action in the Carabao Cup, we take a look at some of the most famous exits in League Cup history that have left Premier League giants red-faced. 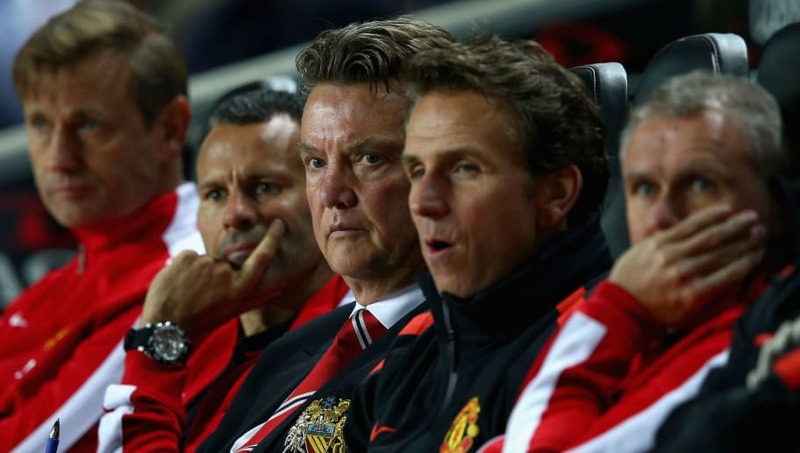 In front of a bumper 27,000 crowd, League One MK Dons stunned Louis van Gaal’s Manchester United at Stadium MK. Despite fielding a weakened side, United still boasted the likes of David de Gea, Shinji Kagawa and Danny Welbeck as they fell to one of the most embarrassing League Cup exits in their entire history. Braces from Will Grigg and former Premier League striker Benik Afobe comprehensively sent the Dons into round three in what was the hosts’ first appearance in the second round in the competition in 19 years. Despite the mauling, Van Gaal claimed after the match that the players ‘did their utmost best and could do no more’ - leaving many in Manchester red baffled. League Two minnows Northampton shocked Anfield by knocking Liverpool out in the third round in a penalty shoot-out. The away side had come agonisingly close to defeating the Premier League giants in extra-time, only for the famous David Ngog to equalise with minutes to spare. However, despite Daniel Agger, Lucas Leiva and Ryan Babel all starting, Abdul Osman’s winning penalty inflicted Roy Hodgson’s worst defeat as Reds manager. In fact, the current Crystal Palace boss was so humiliated that he openly apologised after the game, citing it as a ‘major setback for the club'. It wasn’t long before Hodgson’s time was up, leaving just four months later. From victors over Liverpool to a crashing exit at their four tier Lancashire rivals, Burnley were sent tumbling in the second round at the Wham Stadium. Accrington, who had never reached the third round, claimed one of their biggest scalps against newly promoted Premier League opposition, but not without surviving a few scares along the way. Clarets substitutes Andre Gray and Scott Arfield were denied in extra time, before Matt Pearson scrambled in a dramatic 120th minute winner. Perhaps not the biggest scalp in League Cup history, but certainly one of the most memorable for minnows Stanley. Championship side Burnley produced a fourth round shock by defeating Luis Felipe Scolari’s Chelsea in 2008. Florent Malouda, Deco and Didier Drogba had all started at Stamford Bridge and the hosts went in front courtesy of Ivorian Drogba’s first half effort. But in a dramatic twist, forward Ade Akinbiyi equalised for the Clarets, taking the 2005/06 Premier League champions to a penalty shoot-out. Club favourite Brian Jensen’s heroics stole the show as he brilliantly saved from Wayne Bridge and John Obi Mikel to condemn Chelsea to an early League Cup exit and compound the Blues to a miserable fifth consecutive penalty shoot-out loss. Bradford pulled off one of the greatest League Cup quarter final shocks by defeating Arsene Wenger’s Arsenal in a frenetic penalty shoot-out. The Gunners fielded a strong lineup consisting of star players like Santi Cazorla, Aaron Ramsey, Lucas Podolski and Thomas Vermaelen. However, having cancelled out Garry Thompson’s 16th minute strike with two minutes to spare, skipper Vermaelen turned from hero to villain when his spot-kick came off the woodwork - sending the Bradford faithful into pandemonium and leaving the two-time winners red-faced. Bradford’s remarkable feat would see them reach a major final for the first time since 1911, only to be soundly beaten by Swansea 5-0. Sorry Manchester United fans, your team appears again on the list - this time in a fourth round exit to Southend. In front of 11,532 fans, Freddy Eastwood’s stunning first half free kick was enough to see the Seasiders progress to the quarter finals at the expense of a Red Devils team that included strike duo Cristiano Ronaldo and Wayne Rooney. One of United’s most humiliating League Cup exits, Sir Alex Ferguson was coincidentally celebrating 20 years in charge at the club. To further embarrass the Premier League giants, the Shrimpers would suffer relegation from the Championship that same season – making their scalp that much more special.